Qu'est-ce que ça prends pour devenir athlète Olympique? Vous avez toujours rêvé de devenir un athlète ou vous vous demandez ce que ça prends pour le devenir? 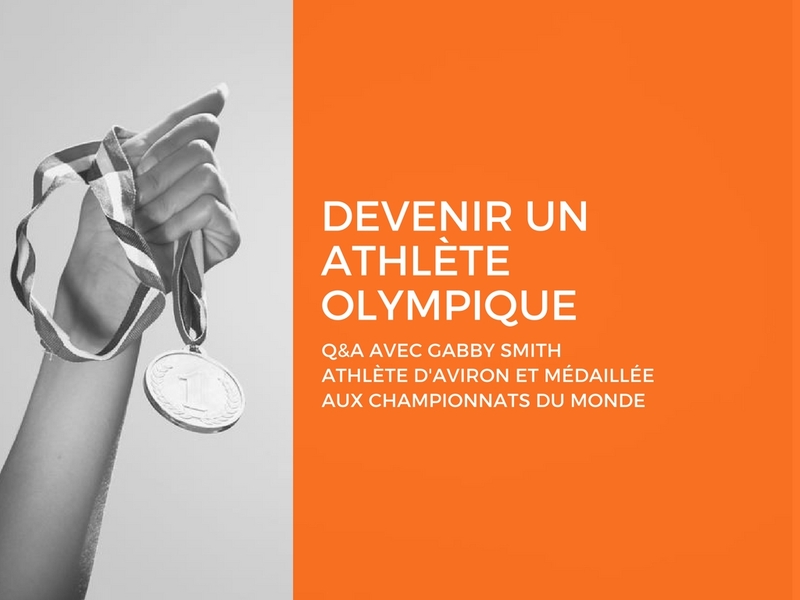 J'ai pris le temps de faire une entrevue avec Gabby Smith athlète d'aviron qui fait partie du programme Ramer vers le podium, qui a pour objectif de l'amener aux Jeux Olympiques de 2020. Si je vous disais que son entrainement peut aller jusqu'à 35hrs par semaine qu'en penseriez vous? Allez voir la suite pour comprendre comment elle fait pour survivre à ce régime pratiquement militaire! Sans plus tarder, je vous laisse découvrir Gabby, une athlète dévouée à son sport avec qui j'ai l'honneur de travailler! What motivated you to jump into rowing and to aim for the Olympics? I think my Olympic dream really dates back to when I was a child watching the opening ceremonies to the 2002 Winter Olympics in Salt Lake City. I was 8 at the time and had never really realized that there was a world of high performance sports out there. I’m not sure what exactly about it hit me, but somehow a spark was lit. My parents had incidentally recorded those opening ceremonies on VHS, and I used to sit in front of the television watching them on repeat because I loved the energy and found the atmosphere so exciting. Most of my athletic career has been spent on the volleyball court instead of in a rowing boat. Heading into university I was constantly getting injured on the court and I think deep down I knew I’d reached my peak with volleyball. I was still looking to fulfill my Olympic aspirations, however, and rowing provided a really great opportunity for me. It wasn’t the sport I thought I would be chasing down the Olympics in, but there is more than one way to skin a cat! Tell us about your daily routine and the discipline you need to accomplish all your training hours? My day typically starts with waking up at 6am. During the school year, I’m able to get in about 1 hour of studying in before having to leave for training. My first practice is at 8am and typically lasts about 1.5 hours – 2 hours and consists of something sport specific, either rowing or erging. After that it’s either running off to class or studying for about 2 hours. Around lunchtime is my second training, again about 1.5 – 2 hours in length. After this is another round of classes/studying for a few hours. Final training typically starts around 4 and is generally a workout on a spin bike or weights. Following this is trying to get home as quickly as possible to eat a big dinner before studying for about 2 more hours before bed around 9 pm. The biggest factor for discipline in my day is being extremely rigorous with time management to make sure I can complete all my trainings and still do well at school. Carrying a full course load while also training about 30 hours a week definitely is not easy, and requires a lot of discipline and effort to do well. What keeps you motivated to get through all these hours of training? I’m motivated a lot by seeing improvements on physical tests. Not every test is always a personal best, but the desire to keep improving and pushing my boundaries is a big motivator. I attend monthly training camps that track physical progress quite closely and also have some racing components to them. I find these camps to be very motivating because it gives you a chance to measure against yourself on the physical tests and against others in the racing exercises. After each camp I like to sit down and make goals for the next month to achieve before the next camp to keep myself motivated and honest with my training. "Not every test is always a personal best, but the desire to keep improving and pushing my boundaries is a big motivator." If you had an advice to give to people who would like to start or maintain a fitness program, what would you tell them? Make a good playlist!!! While training with other people is great, it can be difficult to match up schedules especially with work, school, life etc. Your training can’t be reliant on somebody else showing up to train with you; it has to be more intrinsic than that. Good music will always be ready when you are and can give you the extra energy to do a really good job in the gym. As for my personal song suggestions, September by Earth, Wind, and Fire always manages to get me going. Do you have athletes that inspire you or mentors who help you get to the next level? I try to draw inspiration from the athletes on the senior national rowing teams (Canadian or otherwise) for athletic inspirations. The level of physicality and technical ability at the top level is very inspiring to me. I like to watch racing videos from past Olympics, World Championships, World Cups etc. to see what it takes to compete with the best rowers in the world. It also is helpful if I’m struggling with a particular technical point in my stroke to see how it is properly executed by the best! Further, I draw a lot of inspiration from my parents. They’ve really engrained the idea of work ethic in me since a young age. Their message to me has always been: when things get tough, put your head down and get to work. This has shown to pay dividends in rowing, school, and general life as well. On race days do you have a routine or rituals you always do? I definitely like to get to the racecourse early to get my bearings. I try to keep my racing routine as similar as I can to my everyday training routine to help limit the extra nerves of racing. Music is a must during warm up on land and really helps me get into a good headspace heading into a race. Other than that, I typically like to eat pizza the night before racing! Tell us a bit about the upcoming World Championship. 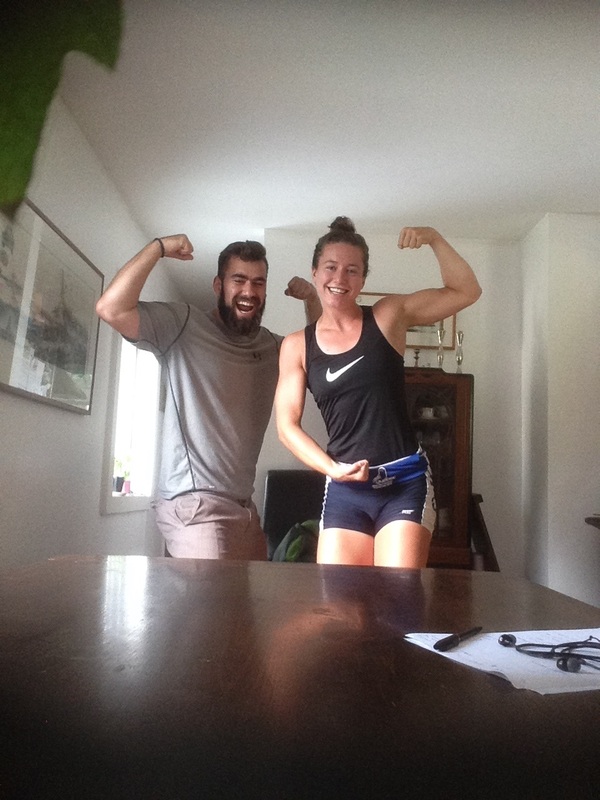 I’ll be rowing in the women’s double event with my training partner Julia Vander Hoeven. The racing takes place August 21-28 in Rotterdam, Netherlands. We’ve had a bit of a unique summer of training because I’ve been dealing with a rib stress fracture. This has limited the type of training I can do (in terms of both intensity and volume) and the amount of time I can be in the double. Julia has had to spend a great deal of time rowing in a single scull while I’ve been trying to heal my rib. The single is always a challenge and is a very technical boat to row, so she’s been making some big gains in that area. We’ve had to take a very close look at how to maximize my healing while still keeping the double moving well. I competed at the World Championships last year as well, so I’m relying a bit on my past experiences and my physicality to keep myself positive through the dark days. It hasn’t been an easy road to manage, but it’s all in an effort for me to race as pain-free as possible! Finally, do you do anything particular for your recovery? Recovery is an essential part of any training plan and really requires a lot of attention to detail to execute well. Eating a meal with adequate carbohydrates and protein within 20 minutes of finishing training is maybe the most important part of my recovery. Rehydrating after training is important as well, as is making sure you are getting enough sleep at night. I spend about 30 minutes before bed working on flexibility that helps to ease tightness in my muscles and relaxes me to help sleep better. 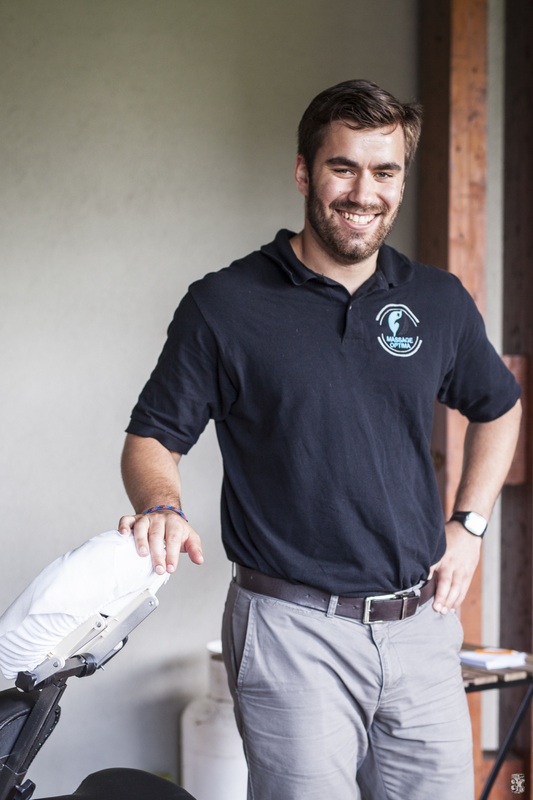 Regular physiotherapy and massage therapy is also imperative to help prevent injuries and maintain good range of motion in my muscles. J'adore comparer le processus des athlètes olympiques à celui d'entrepreneur. Pour atteindre les plus hauts niveaux, les petits gestes répétés au quotidien font la plus grande des différences. Mais surtout, il ne faut pas se décourager dans les moments plus difficiles, il faut se retrousser les manches et prendre chaque échec comme une opportunité d'apprentissage. Vous avez aimez cet article? N'hésitez pas à vous abonner au blog pour recevoir du contenu exclusif et ne rien manquer.